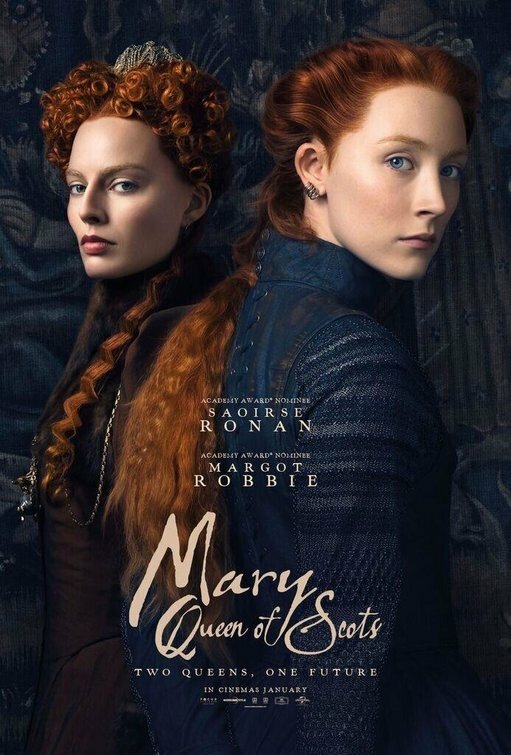 In the new historical royal drama set in the 16th century, Mary Queen of Scots, Saoirse Ronan plays the young and charismatic 'Mary Stuart' who finds herself competing with her cousin 'Queen Elizabeth I' (Margot Robbie) for the throne of Scotland. 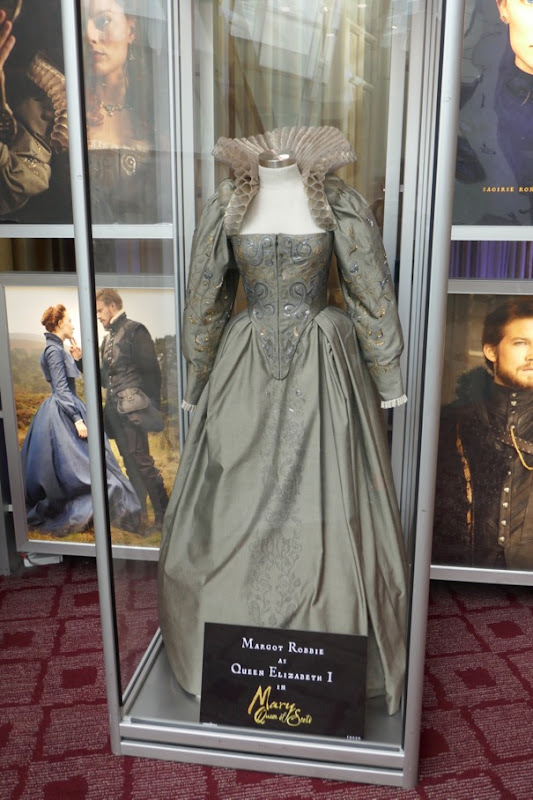 Regent rivals in power and love in a masculine world, Mary Stuart finds herself condemned to imprisonment for years before facing her own execution. 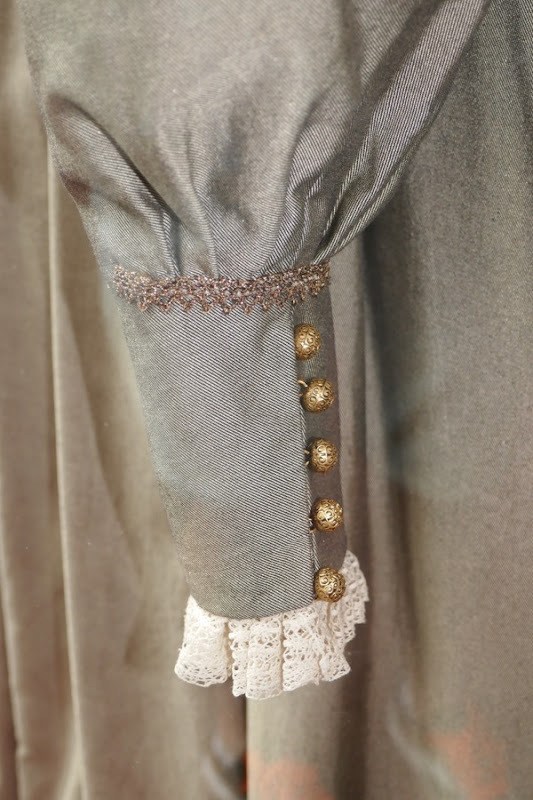 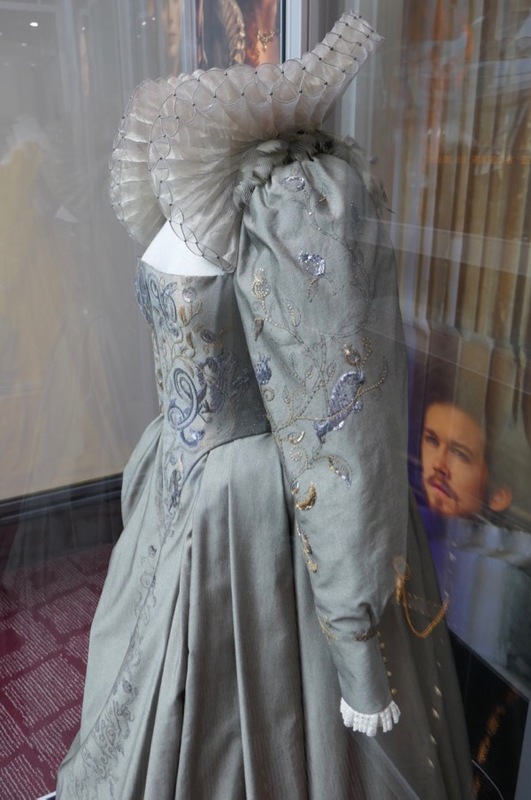 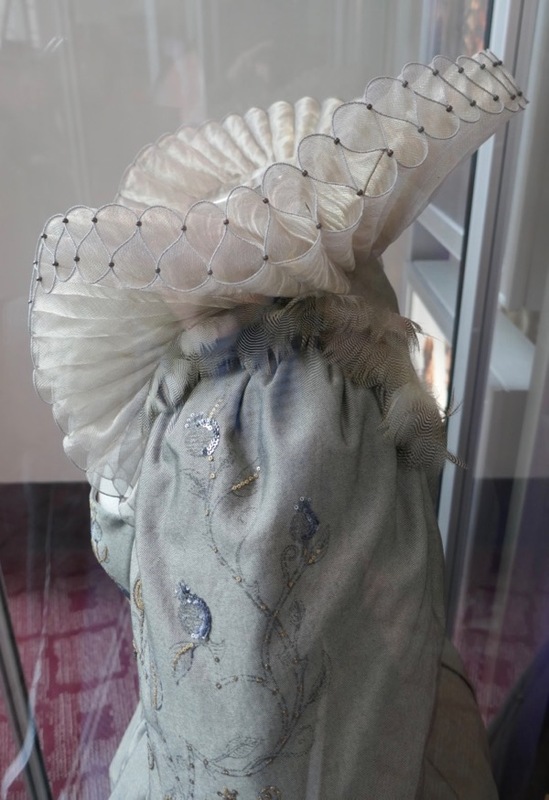 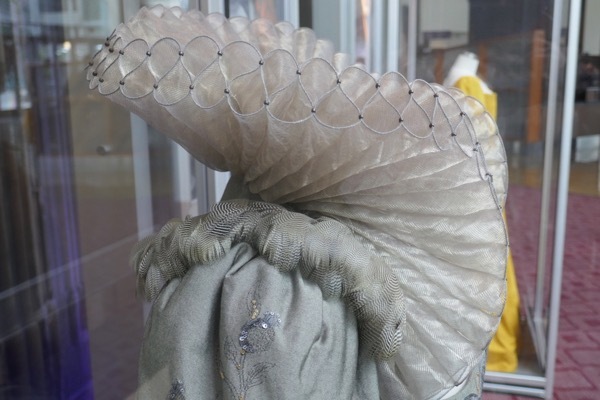 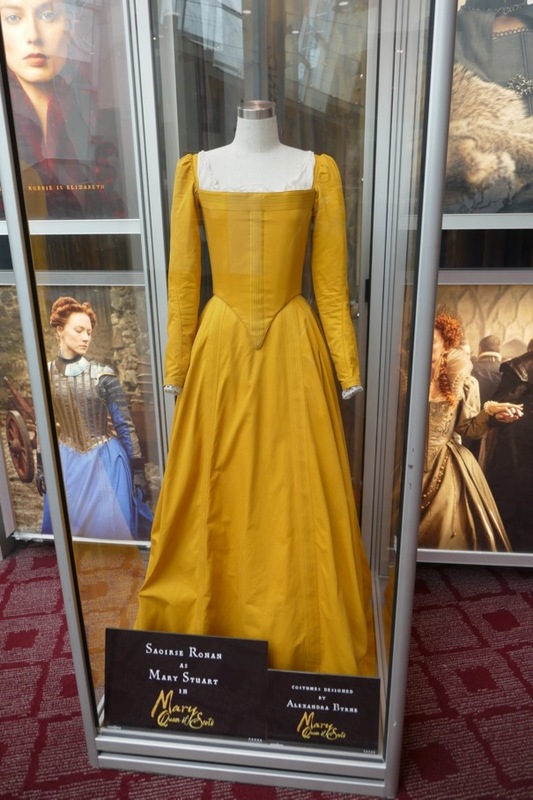 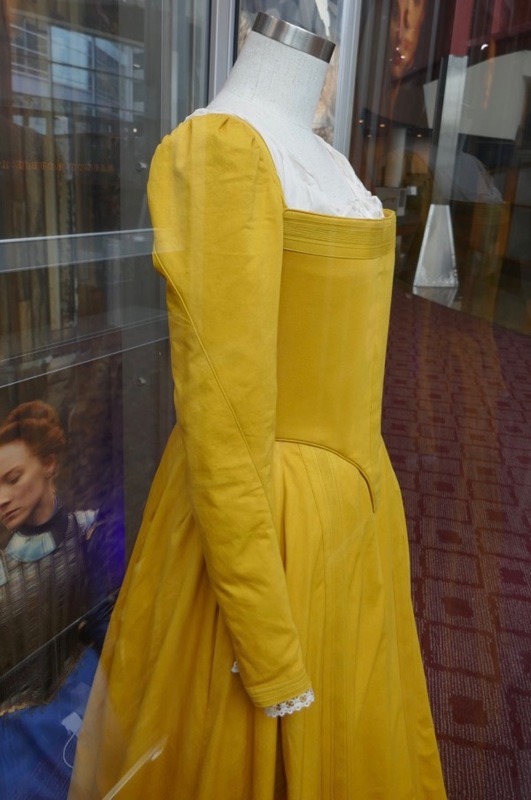 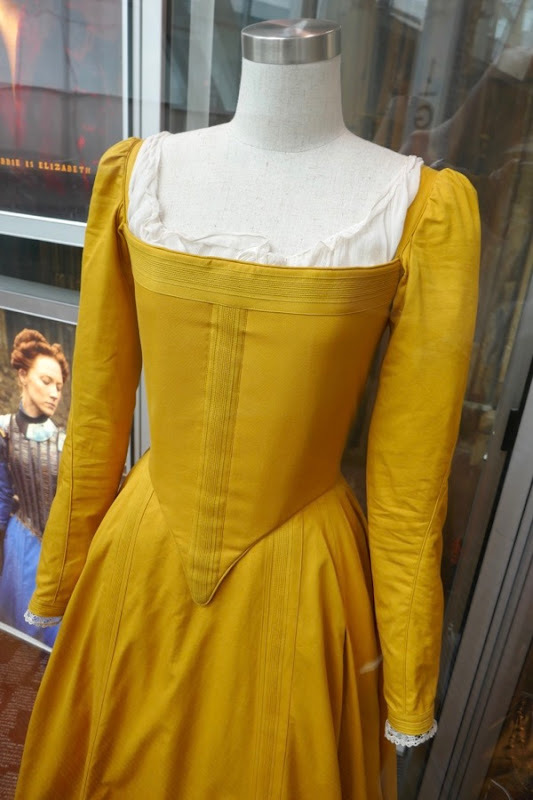 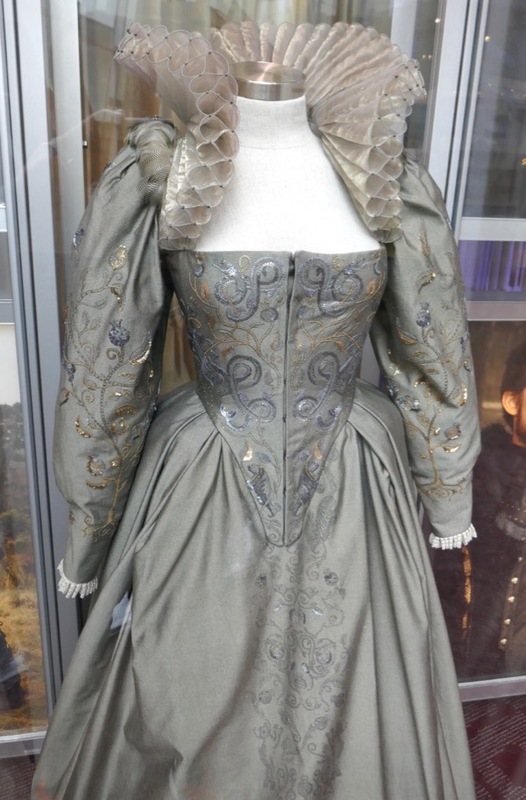 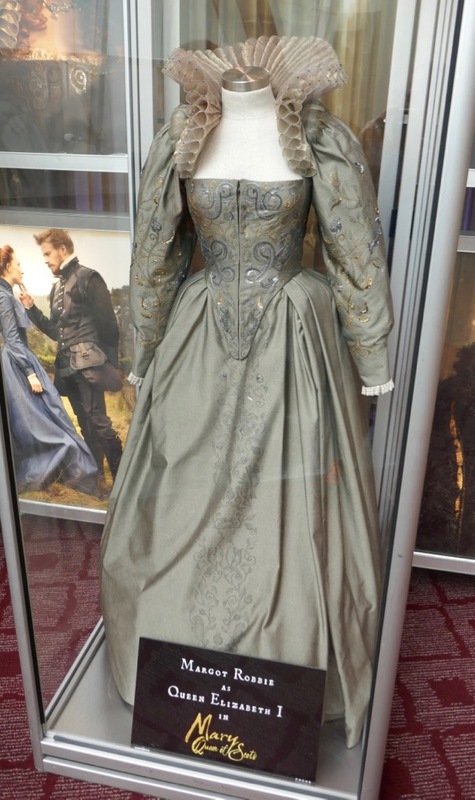 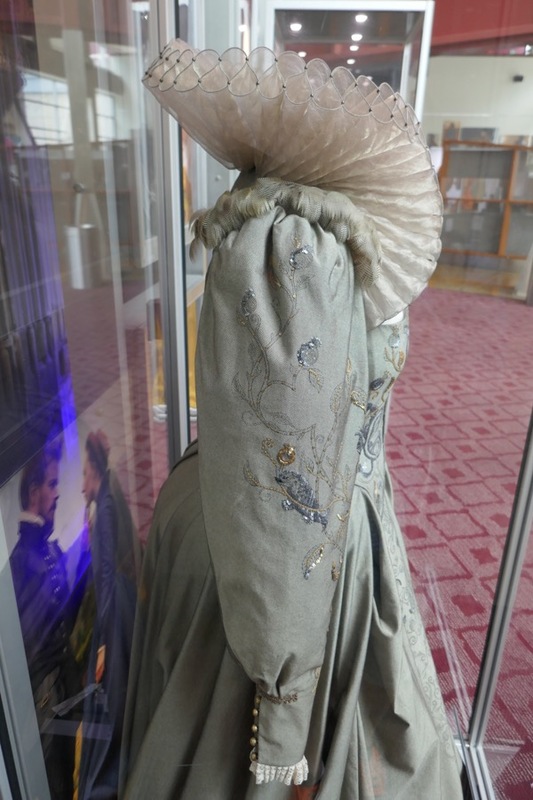 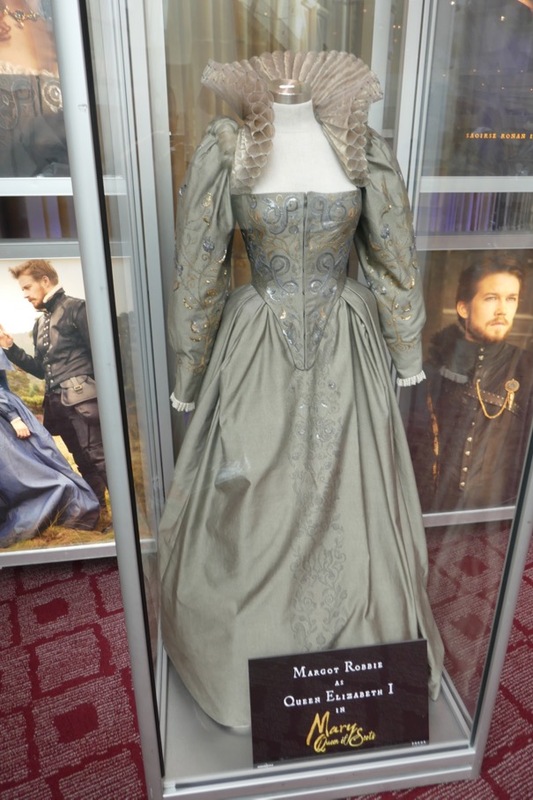 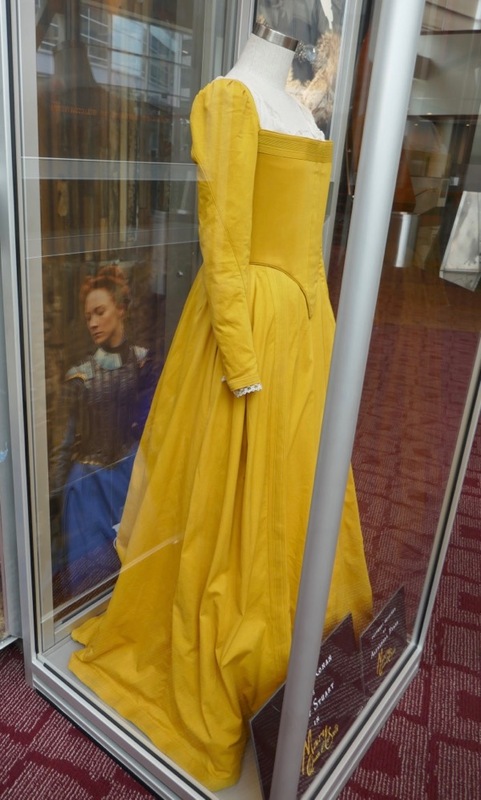 These fantastic period costumes were photographed on display in the foyer of ArcLight Hollywood cinema on November 29, 2018. 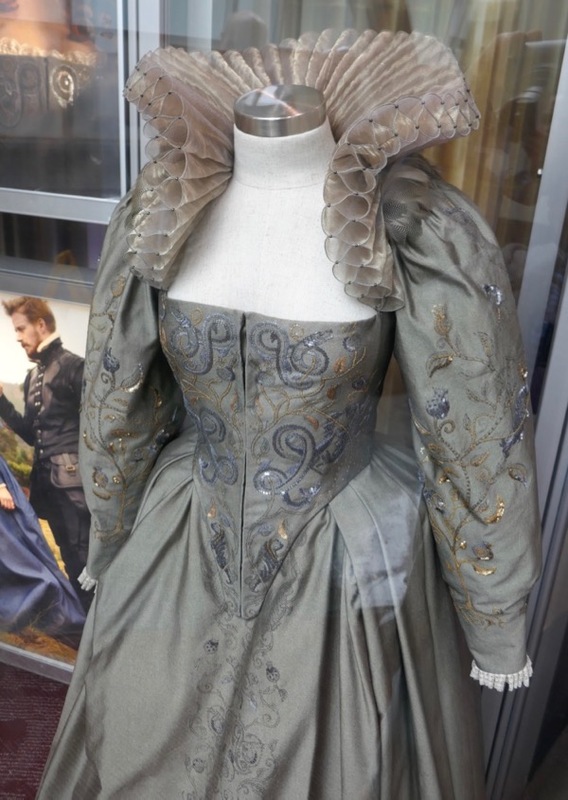 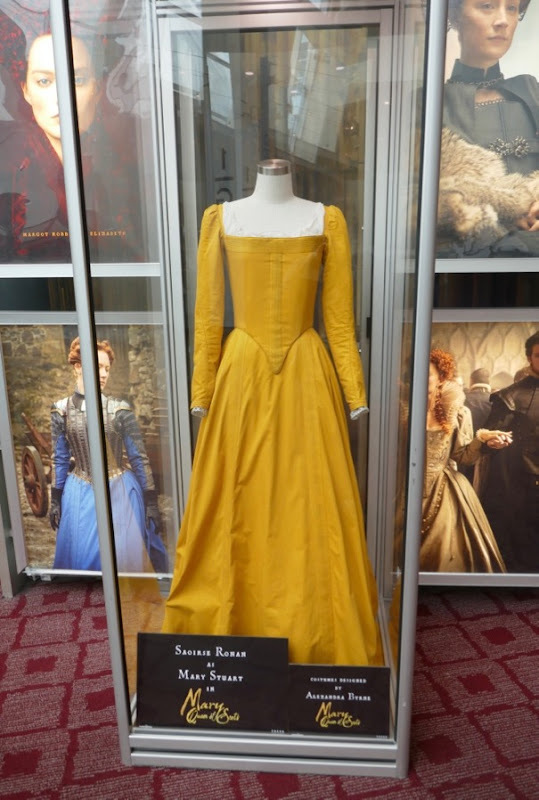 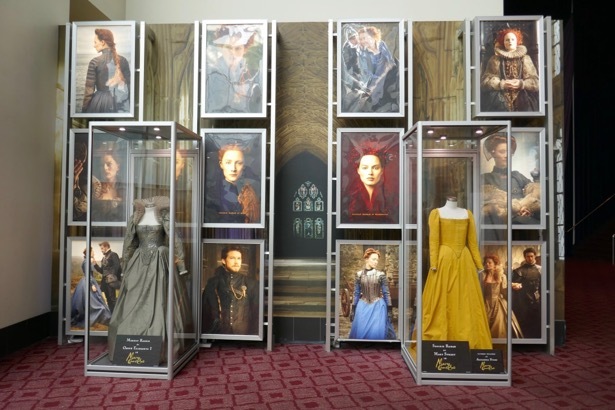 Alexandra Byrne is Costume Designer on this historical drama directed by Josie Rourke and you can see more of the designer's work in these Doctor Strange movie costumes, these Murder on the Orient Express film costumes and these Avengers: Age of Ultron costumes. 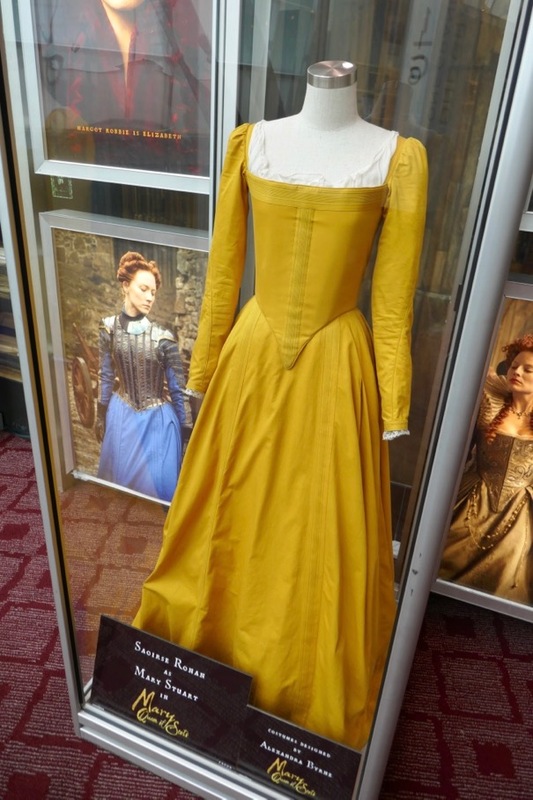 In the film Margot Robbie plays the sovereign Queen of England and Ireland, the daughter of 'Henry VIII' and 'Anne Boleyn'. 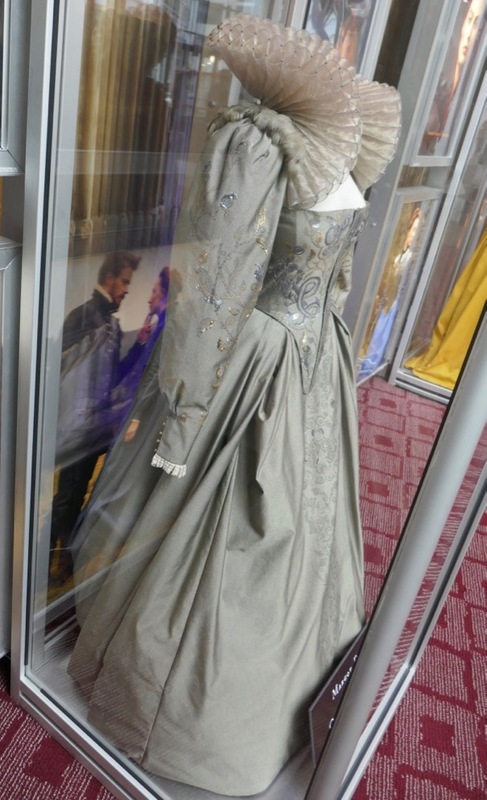 Fans of the Academy Award-nominated actress can also check out her I,Tonya ice skating costumes, her Harley Quinn costume from Suicide Squad and her film costume from Goodbye Christopher Robin. 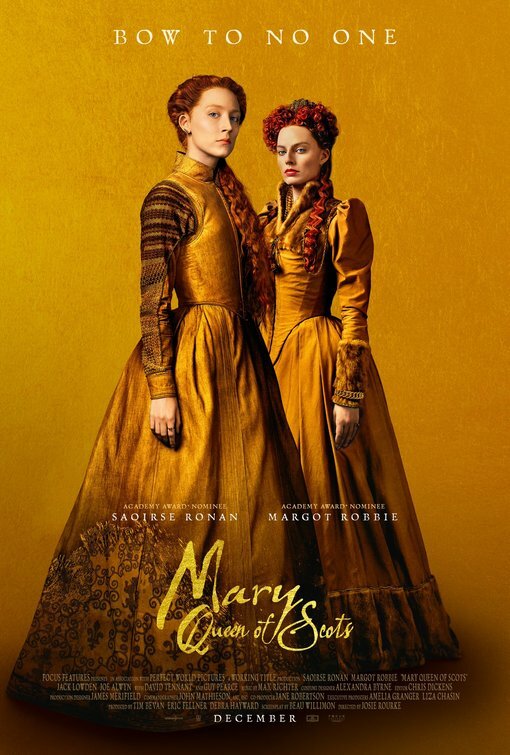 Saoirse Ronan plays the daughter of 'King James V', Queen of France at 16 after marrying 'King Francis II' and widowed by 18, she returned to Scotland to claim her rightful throne. 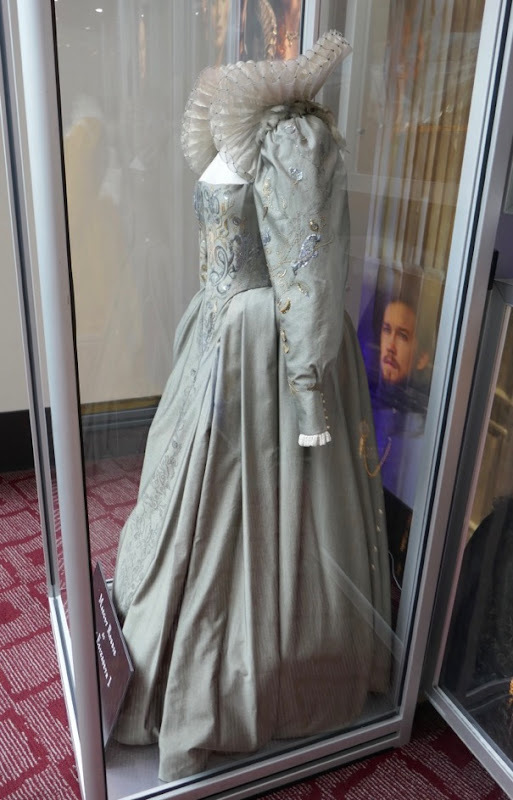 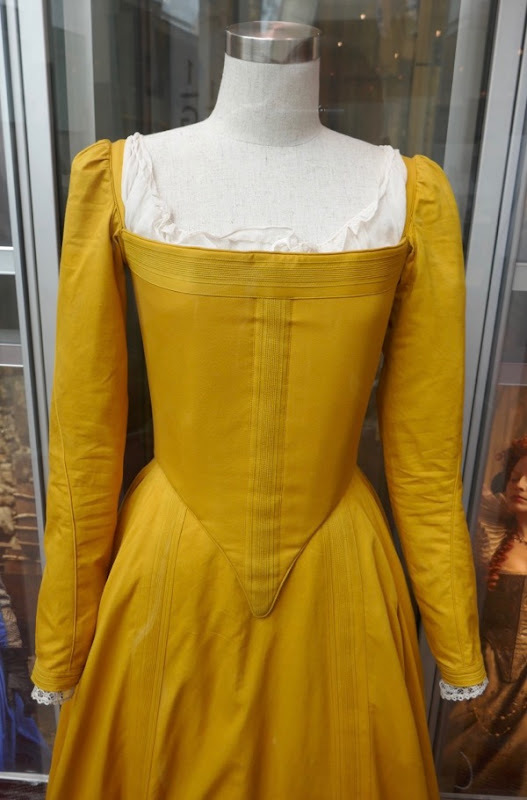 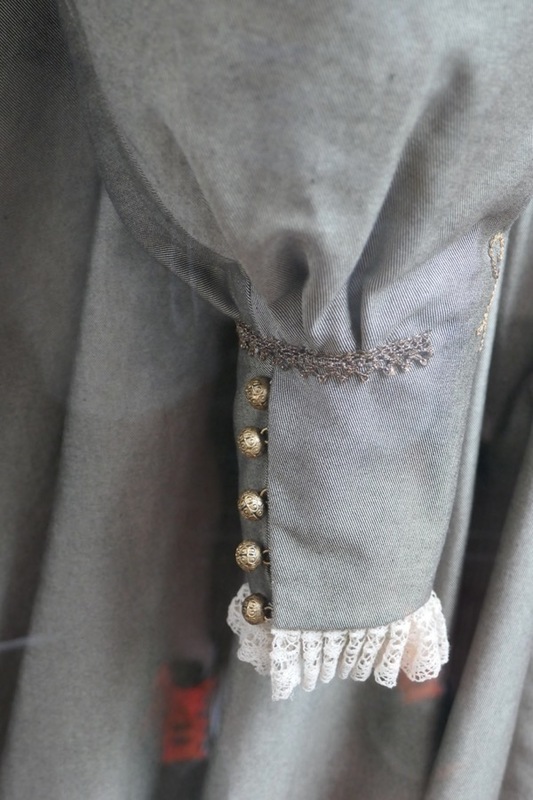 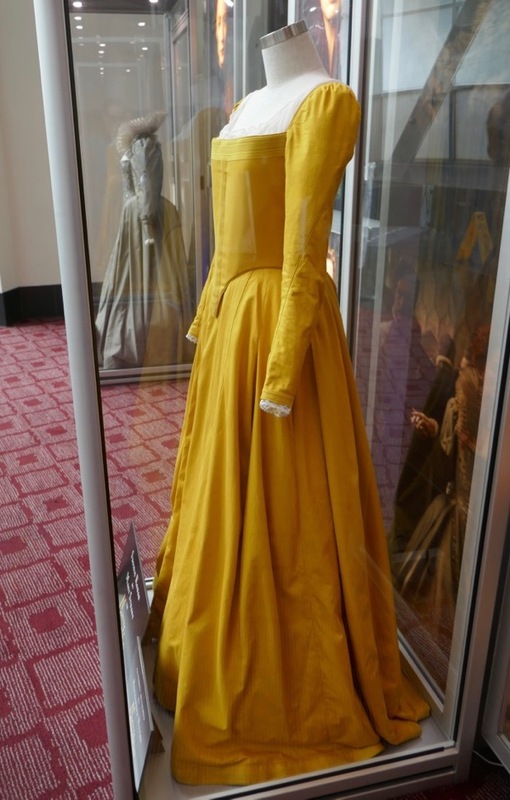 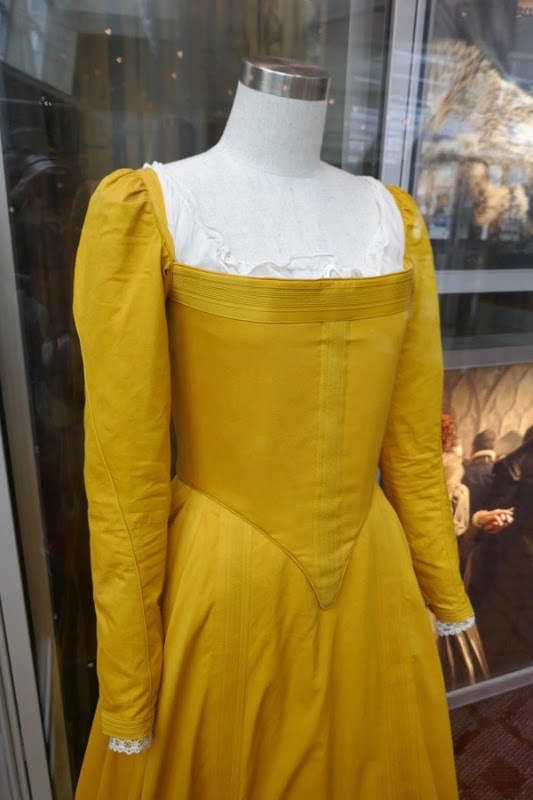 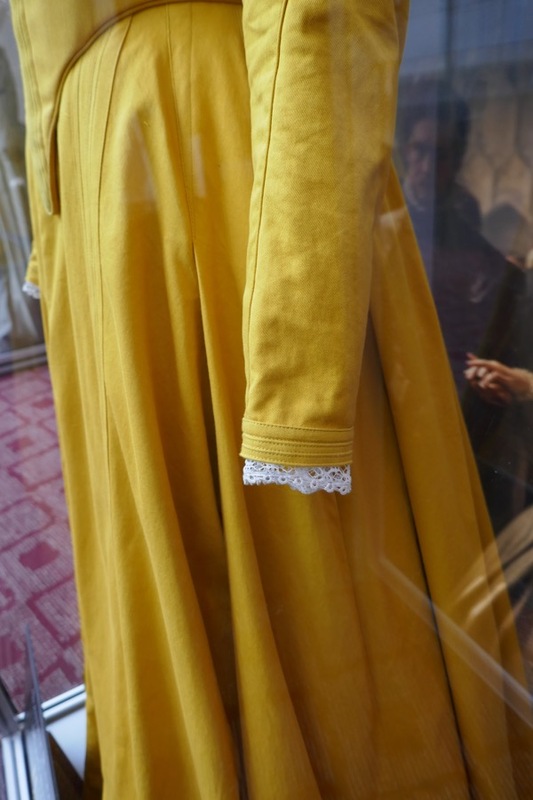 Fans of the Oscar-nominated actress can also take a look at her Brooklyn movie costumes, these Lady Bird film costumes, her costume from The Grand Budapest Hotel and her Hanna film costume.